By mid-2019 the race for the Democratic presidential nomination may well have more than a dozen candidates, replete with exploratory committees, fiercely vying for the honor of deposing Donald Trump. There is already some chatter among progressives that with Elizabeth Warren and Bernie Sanders both in the mix, they will not just be competing for the same voters, but also hurting each other’s chances for the nomination. By splitting the progressive vote, their battle might enable a nonprogressive to win. That is certainly a not unreasonable assumption. But in the long run, it will hardly matter. There are two recurrent electoral patterns that make it highly unlikely that Warren’s and Sanders’s candidacies will harm one another’s. First, most of the candidates will have dropped out no later than just after the Iowa caucuses and the New Hampshire primary. And second, the larger states, with the remaining 97 percent of the presidential delegates, will not begin to vote until a couple of weeks after Iowa and New Hampshire. What will be the chances then, in late February of 2020, that both Sanders and Warren will still be in the race? The best guess right now is that Sanders will be the one to survive, and very possibly hang in through the rest of the primaries. I say this for a few reasons. First, after Warren's unfortunate stumble over revealing the results of her DNA testing, she is far behind Sanders in the early polling. It does not yet appear that she is recovering. Sanders is surely motivated to run to avenge the loss of the Democratic nomination to Hillary Clinton in 2016, partially because the party apparatus actively sabotaged his campaign while clearly favoring hers. At the age of 79, he will take his last shot. But there’s still another factor which few voters know about Sanders. Back in the late 1950s, he was one of the best high school distance runners in New York City. He still fully understands the meaning of going the distance no matter what the circumstances. So, if he decides to run, don’t look for this guy to drop out. Sanders also now realizes that he cannot afford to largely write off the vast black vote, especially in the South, where this population group constitutes half the primary voters. Joe Biden remains a formidable candidate, but while he is the early front-runner, his support is the proverbial mile wide and inch thin. Plus, he has a long history of quickly dropping out. Like Sanders, however, this would clearly be his last shot before aging out. The wild card in the Democratic Primary may be former Texas Congressman Beto O’Rourke, who recently came very close to unseating Republican Senator Ted Cruz, who himself had been a strong presidential candidate just two years ago. An immensely successful fund-raiser, Beto could give Sanders and Biden quite a run for the money in more ways than one. 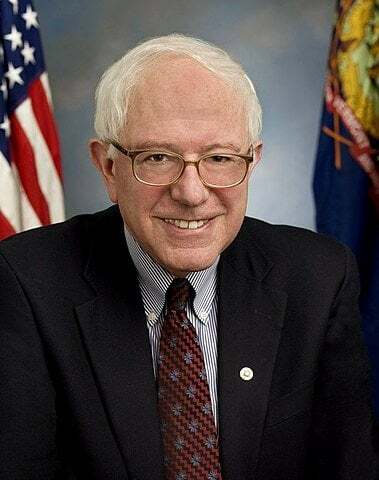 If the race for the Democratic nomination is still close in early June of 2020 when California votes, look for Bernie Sanders to be hanging in there, whether he’s running first, second, or third. My guess is that Elizabeth Warren will have dropped out before the Iowa caucuses. In any event, it’s no contest between the two of them. Full disclosure: Bernie Sanders and I ran track together in high school, and were college roommates for one semester. Steve Slavin has a PhD in economics from NYU, and taught for over thirty years at Brooklyn College, New York Institute of Technology, and New Jersey’s Union County College. He has written sixteen math and economics books including a widely used introductory economics textbook now in its eleventh edition (McGraw-Hill) and The Great American Economy (Prometheus Books) which was published last August.